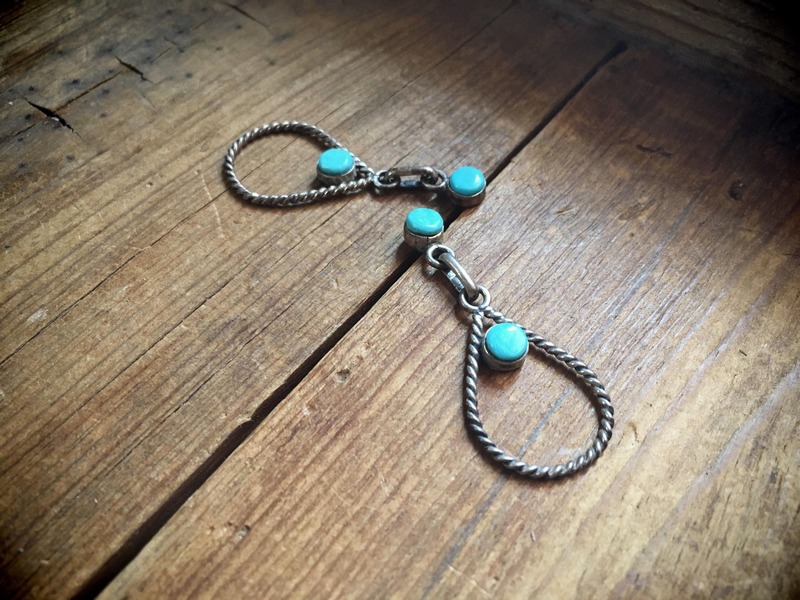 These small turquoise and silver earrings are perfect for a bohemian, Southwestern look. 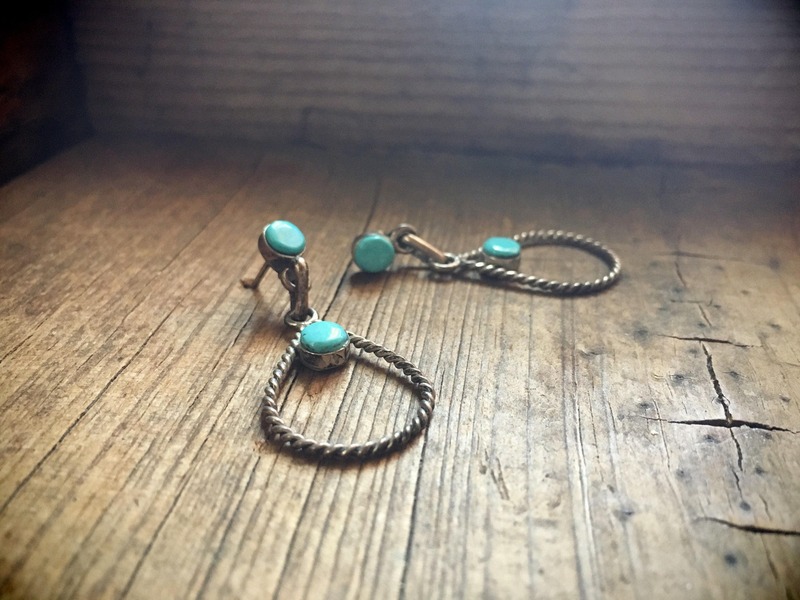 Silver twist wire forms the teardrop loop, and two cabochons of creamy blue turquoise--which looks very much like Sleeping Beauty mine--on each earring add a splash of color and great boho style. They are unsigned, so we cannot say with certainty that they're Native American; hence, we call them Southwestern. 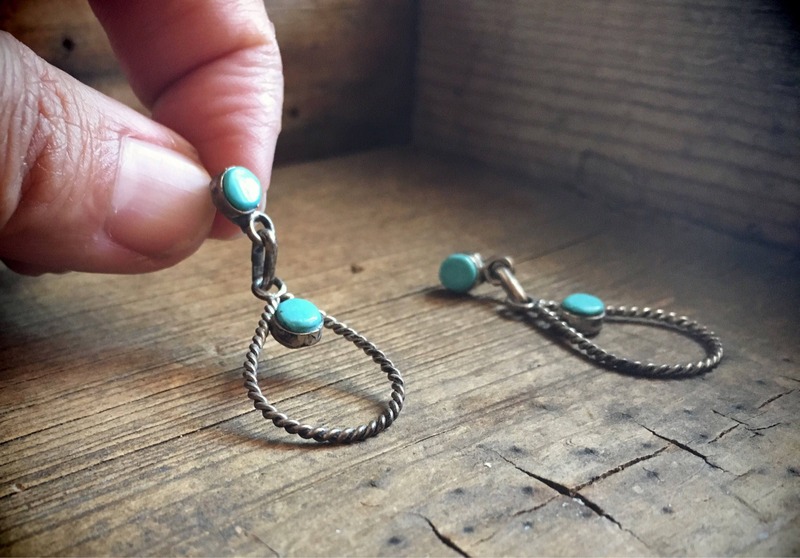 Each earring measures 1-5/8" long by just over 5/8" wide. 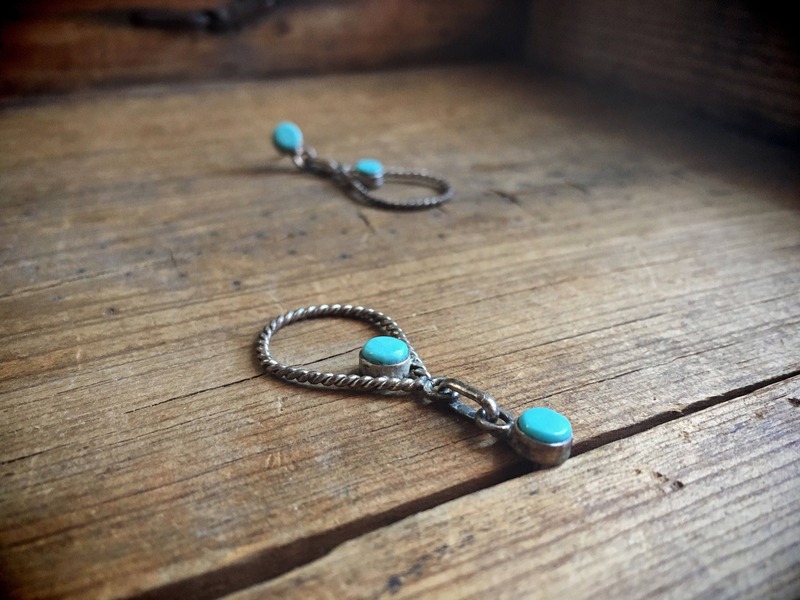 The turquoise cabs are 3-1/6" in diameter. These earrings were almost black with tarnish when I found them, so much so that I couldn't even get it all the way off the backs. What that tells us is they sat in someone's drawer or jewelry box for decades, as the best way to avoid tarnish is to wear something continuously. 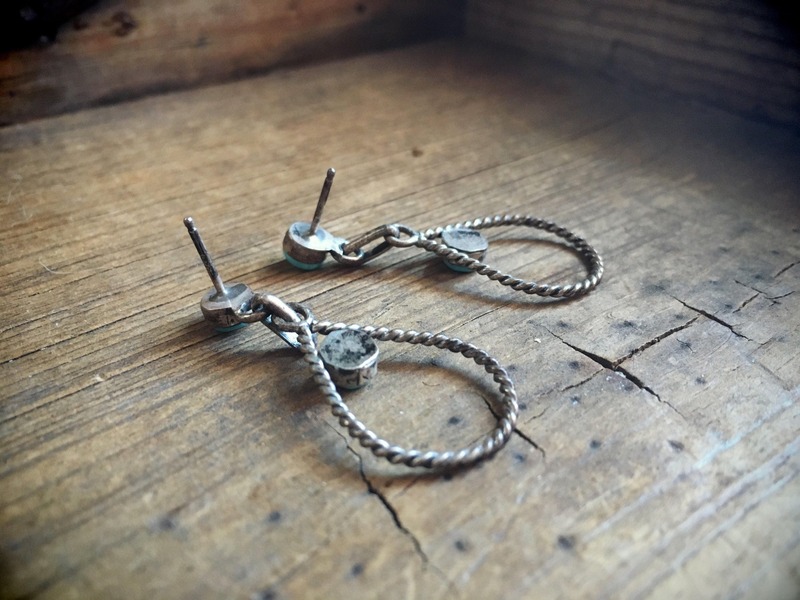 Other than the tarnish, the earrings are in great condition, and contain their original ear nuts. Not marked with STERLING stamp yet do not magnetize. 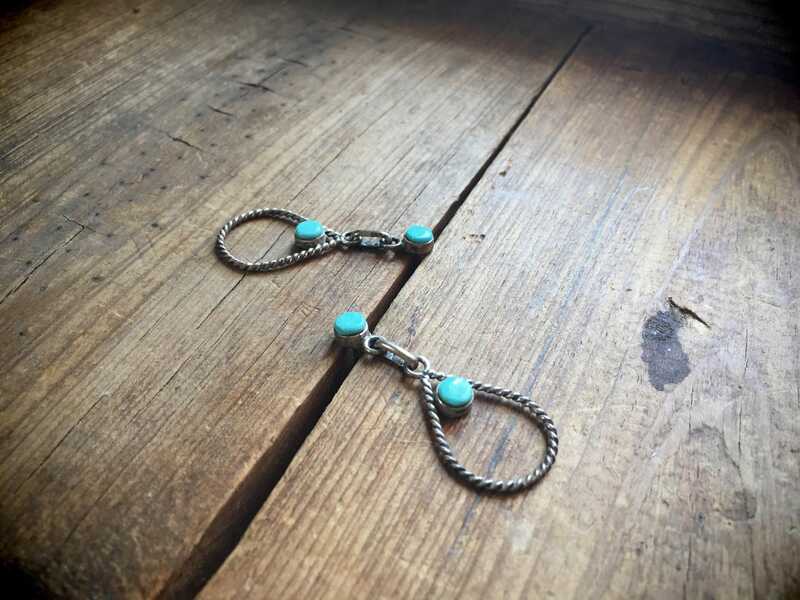 A fabulous find for someone who likes smaller hoops yet big presence.